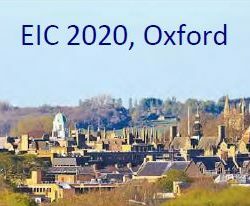 2nd-5th September 2020 in Oxford. The venues have been booked, a Keynote Speaker (Sir Peter Ratcliffe) is confirmed, and planning for other speakers, sessions and events is underway.Please,mark the date! The new webpage is now live. Please explore the site to find all the information about the EIC.